In this beautifully shot wuxia epic, a powerful swordsman is haunted by the destructive impact his deadly talents have on others. Weary of the bloodshed and violence from the martial arts world, he banishes himself to the humble life a vagrant, wandering the fringes of society. But his murderous past refuses to let him go quietly. The master swordsman must regain the ability to wield his sword and fight those disrupting the peace he so desperately craves. 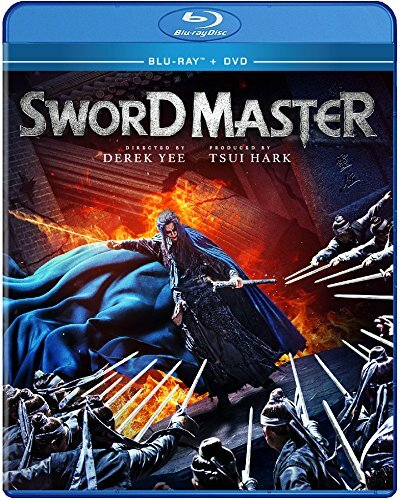 Director Derek Yee joins forces with producer Tsui Hark to bring this classic story of a master swordsman to life. Sword Master is a Wuxia Sword play film that is based on the Shaw Brothers Film Death Duel. Derek Yee Lead Star in Death Duel Directs Sword Master and Produced by Tsui Hark. Sword Master doesn’t have the body count of Death duel but does have a good amount of action. We have One Guy whom is dying but also looking to find the 3rd sword master after defeating the others. He wants to prove he is the best but finds out he is dead. Well Dead to his father the 3rd sword master lives and has left the world of martial arts and even is in a state to where he wants to die. In between the two sword masters we have a romantic side or should I say 2 women one guy sort of deal. So two plot lines interweave with one another and at the end we get a nice one on one. The story was good and its more poetic I should say compared to Death Duel. It’s not as gritty and filled with a ton of death but don’t get it twisted it’s still action heavy. The action its self is pretty good with some nice sword play not insanely filled with wuxia where everyone is flying around. Now the film is CGI heavy but also mixed with realistic set pieces. Its Doesn’t get in the way and at times you can tell. Acting wise its great. The lead does a great job including the rest of the cast. With that said I give Sword Master a 4 out of 5. Will we see a part 2, I wouldn’t mind. Go pick it up and if your one of the lazy viewers this does include Dubbing. I Was Lazy this go around.